Kids will love to snuggle with their soft cuddly reindeer friend this winter! The only tough part is picking out what color his nose should be! Easy beginner level pattern requires no sewing machine. 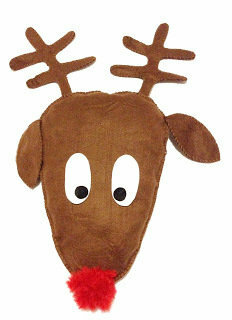 Reindeer is hand sewn using a simple whip stitch. Visit SBU for a free whip stitch tutorial! You can download this PDF pattern immediately after purchase. Payment information is not required for a free pattern. See the pattern download information page for more details.